Description: This is theinfographic of the two Focus Groups held within the LeHo project in 2014 and 2015. 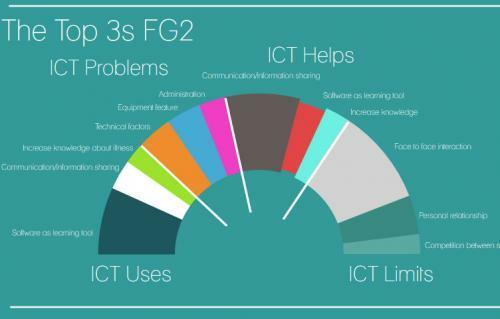 If you want to have a deeper overview of the Focus Groups results please see the FULL REPORT here in the toolkit, where also a short PPT presentation is available. Notes: Two rounds of FGs have taken place between 2014 and 2015. 1. investigated how Home and Hospital education relates with the Key educational Factors. 2. investigated ways to identify the use of ICT tool in Home and Hospital Education.